It is that time of year when the win-at-all-costs coaching crowd make themselves pretty obvious. If you know what to look for you can notice the win-at-all-costs baseball coaches from a mile away. They will show themselves and stick out like a big rosin bag on top of the pitchers mound. First clue is the way they work the pitching staff. If only one or two pitchers pitch all the innings then you have a win-at-all-costs baseball approach. 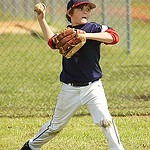 Player development coaches will develop an entire pitching staff and work in six, eight and up to ten pitchers. This takes a lot of practice time which the win-at-all-costs coaches do not invest in much at all. 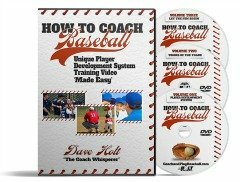 Player development coaches will pitch their pitchers one or two innings at a time and give several pitchers opportunities to pitch during ballgames. Second clue shows up in the way the coaches approach and coach their hitters. The win-at-all-costs coaches use the approach to have their batters take a lot of pitches. They rely on the batters mostly walking in order to reach base and coming around to score. This strategy works sometimes and teams win games doing this but at the cost of kids unable to hit the ball with authority (beginning of the end of baseball careers). If a batter ever swings at a marginal pitch or anything out of the strikezone the kid gets a tongue lashing from the coaches and often the parents. I witnessed a game the other day where a batter watched a pitch go right down the middle. The 1st base coach came unglued and yelled at the boy, “ Come on, you got to swing the bat!” The very next pitch was up about neck high and the batter took a mighty rip at it and missed. The same 1st base coach came unglued again yelling, “Hey, you can’t be reaching for them like that!” Now encouraging the batters to swing it is a really good. But yelling at them in the box is never appropriate. And the coach is definitely sending mixed messages; one side of the mouth is saying to swing it and the other side of the mouth is saying don’t you dare chase a pitch out of the strikezone. After all, these nine-year olds are major leaguers right? Third clue is the coaches don’t conduct practices. The win-at-all-costs style doesn’t need to practice. The hitters don’t swing the bat much or will try to ‘just make contact’ so no need to practice hitting. Putting the ball in play by making contact in the lower age levels will get most batters on base. No need for pitching practice as the two best pitchers do all the pitching. Fourth clue is the coach is only pleased when the team wins. The players are pretty much of no value unless the team wins games. All the chips are put on winning and nothing else matters. Teamwork, character, effort, and sportsmanship are unimportant. Fifth clue, we will not know until a year or more from now. How many kids will sign up next season? How many kids really got a good foundation of fundamentals that can sustain the player into the post puberty baseball years? 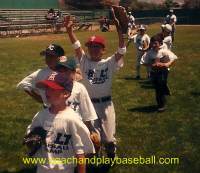 Does your local baseball area need a quality summer baseball camp for your players? Get in touch with Coach Dave and talk over the opportunities and see if we can match up the dates. 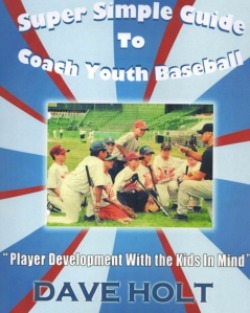 Coach Dave will bring his player development system to your area for a weeklong summer day camp. Do you want to give your local players a chance to improve their skills over the summer in a professional baseball style environment?